ISIS militants have blown up two ancient tombs they consider sacrilegious in Palmyra, a 2,000-year-old UNESCO World Heritage site in central Syria, the ultra-hardline Sunni Muslim group said on Tuesday. ISIS militants have blown up two ancient tombs they consider sacrilegious in Palmyra, a 2,000-year-old UNESCO World Heritage site in central Syria, the ultra hardline Sunni Muslim group said on Tuesday. The report was the first of any damage being done by the militants to buildings in Palmyra since they seized control of the city, also known as Tadmur, in May. Syrian forces have bombed the city, and the militants camped within it, since then. 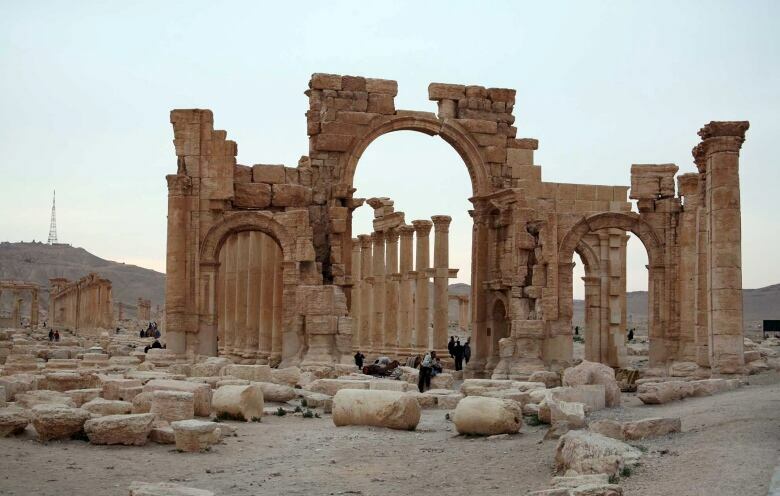 Before-and-after pictures posted on the jihadist website Wilaya Homs showed several militants carrying explosives and two mausoleums, which are not among the city's monumental Roman-era buildings, reduced to rubble. Al Arabiya News reported that the sites destroyed were the tombs of Mohammed bin Ali, a descendant of a cousin of prophet Mohammad, and Nizar Abu Bahaaeddine, a religious figure. The Syrian Observatory for Human Rights, a Britain-based monitoring group, said this week that the militants had planted mines in Palmyra but that it was not clear whether they were preparing to destroy the site or wanted to deter government forces from advancing toward it. Syrian antiquities chief Abdul Maamoun Abdulkarim said, "In all the areas where they spread when they see tombs, they destroy them as see them as sacrilegious and a return to paganism." Hundreds of statues had been moved from the city to safe locations, before the militants, who control large swathes of Iraq and Syria, took over, he told Reuters. Militants fighting for ISIS, also known as Islamic State or ISIL, have blown up dozens of shrines in Iraq and Syria, many belonging to the Sufi sect, a mystical school of Islam opposed by puritanical Salafists from which ISIS and al-Qaeda draws many of its fighters.